People born specifically on the 3rd of September are predicted to be creative, analytical and helpful as well as less judgmental than most other Virgo's. The planet that has astrological dominance on this particular day is Jupiter bestowing you with an excellent memory and making you a deep thinker and a naturally quick efficient problem solver. If you have this birthday an expressive sharp intellect makes you skillful at explaining and communicating ideas and opinions in addition to usually listening to the views of others. Your practical sensible temperament is ordinarily fairly independent, enthusiastic and optimistic but emotionally you tend to be a bit reserved, serious and cautious. Individuals with a September the third birthday can be a tad idealistic and while this touch of perfectionism motivates you, it may also cause you to be occasionally unrealistic or critical. Diplomatic yet firm with a strong dislike of inequality it is unlikely for you to let anyone push you around. Prospective work type to a person born on the third of September is usually mainly chosen for its potential to fund a comfortable lifestyle. In spite of this preference for a highly paid job you have sufficient talent to find an enjoyable occupation in many fields and you are destined for success in your selected profession. Concerning finances you may be quite susceptible to occasional gambling or impulse buying. This could make it difficult for you to commit fully to large financial investments. In later years monetary security often becomes much more important so you as a rule learn to curb your frivolous spending. 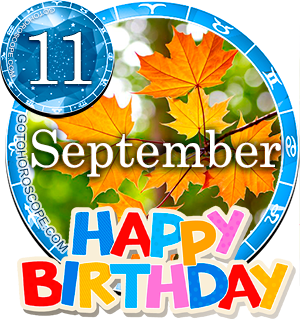 For a Virgo, the person born on the third day of September is typically very loving, caring and romantic when they express their true feelings. Emotions and romance can make you feel nervous but despite your usual seemingly disinterested cool stance your biggest underlying wish is to meet your soul mate and settle down to domestic bliss. An ideal partner must have a good sense of humor and be your intellectual equal as you will greatly value the friendship element in a long term partnership. Your passion for sharing in and out of the bedroom helps keep a special love fresh and harmonious. You are inclined to crave variety in the physical side of the relationship and playful role play really turns you on sexually. When totally devoted to someone you can be prone to be sometimes rather jealous if others pay them compliments or extra attention. Ill health experienced by those born on September 3rd is usually infrequent due to your sensible approach to all areas of healthiness. Your affection for tasty food normally naturally directs you to aim for an active lifestyle in an attempt to keep fit and well. Your mental health is kept stable by your tendency to possess an abundance of positivity and any bad habits you develop like smoking or drinking are commonly moderated. People born on this day should try to avoid lengthy periods of inactivity or not getting enough sleep as these two things are the most likely to cause you to feel or look unhealthy. Your main strengths of character are most apparent in your ample levels of patience and inquisitive logic. These qualities are a fitting accompaniment to your practicality and efficiency and give you a calm philosophical outlook. Your seriousness and caution are other positive traits that usually prevent you from making silly mistakes. The majority of personality weaknesses for those born on September 3rd seem to be connected to your propensity for idealism. Along with your steadfast firmness and when you are upset this negative side of your disposition can make you dig your heels in and be incredibly stubborn. Being born on the 3rd of September graces you with lots of inquisitiveness and imaginative logic making you rarely short of ideas for aspirations. Your goal orientated frame of mind encourages you to utilize all your energy into achieving important targets. Your touch of entrepreneurial spirit sees you often wishing for the opportunity to start up your own business. Plenty of thoughtfulness guides you to dream of doing things that will assist others as this generally gives you greater satisfaction than accomplishing something for yourself. Fantasy dreams are likely to feature emotional rather than materialistic desires. As you were born on the third day of the month your date of birth is granted an associated Root number of Three. This numerical reference to your birthday has the keyword 'Innovation' highlighting the sharpness of your intelligence, sound judgment and identifying puzzle solving skills. The 3rd card in a Major Arcana Tarot deck symbolizing the Empress is linked to your birthday. This recognizes your creativity, independence and ability to listen patiently. The lucky gemstone for September the third birthdays is an Amethyst, to be worn for intuitive guidance towards fulfillment and the possibility of increased wealth. The fundamental outline of all Virgo personalities is astrologically based on the presumed influences of the planet Mercury. The actual day you were born on, the third of September, is imagined governed by the authority of the celestial body Jupiter's presence. Thus these 2 influential planets are thought to determine the probabilities of your individuality. Your favorable proclivities for expressing diplomacy and clear explanations help with the communication of your views and disfavor of unfairness. Your usual commonsensical enthusiasm and optimism grant you a realistic outlook and reasonable attitude. If you can conquer your pursuance of ideals it could make you happier and a bit more openminded. An ending thought for people born on September 3rd is to try and be more assertive and less afraid of failure in order to fully develop your destined potential. I'm happy to connect with other people born on 3 September. I am in love with a Gemini for 3 years, and we have a secret relationship because he's married. I can't believe I'm in this situation, but I am so compatible with him. I'm a Sep 3rd and this is mostly true about me. The problem is i'm 26 and I've never been into a relationship yet and i don't know if that gonna ever happen!! The worse is lately I've started feeling depressed very often while I've achieved a lot so far in my life and i gotta get even stronger... I don't know how to have my high energy and motivations back!? September 3rd b day here. Does anyone else feel like a Leo like I do? An outwardly humble, yet inwardly proud, person wanting to rise to the top and lead others? I've been researching Sidereal astrology and been wondering if it might be more accurate. I am a dramatic, fiery person, but still analytical. But then again, if I'm a leo, then my mercury would be in Virgo, which would explain my analytical studious nature. Tell me what yall think because I have never identified with Virgo the feminine maiden. I'm a manly man dammit! I'm a Gemini man and the love of my life is a Virgo woman born September 3rd. She ended our relationship 28 years ago. She married and had two beautiful daughters who are now grown. And as for myself: I never married, never even had another relationship.....and I think of that Virgo woman every day of my miserable existence..I miss her still and it has never ceased hurting.....Doesn't much sound like a Gemini does it? So there is hope for lost love. If you keep loving someone that much for that long it means something. Act on it. Or find your real person. Yeah I dislike unfairness...this sums me up. Puneet, ease out your idealism! This is an excellent summation of me! Thank you for posting! This is so true..looks like u know me from Adam. Let's create group for September born cuz we Rock! Just avoid pisces leo and sagittarius ..and all of you shall b fine.trust me. I like scorpio men. I can't wait to be with the love of my life. Been single most of my life. I married a Pisces and we have been together for 18 years. Everything here is so true. Thanks to the owner of these writings. It has really brought a change into my life. I really respect your words and research. I hope to have a direct contact with you. I need to know something about myself. Because I am really destined for greatness. My birth till now is so unbelievable. I have achieved a lot at this tender age. And I know I am going right to the top. Please I need a group of September borns and anything close to that. I want to be active with my 3rd September borns. I think we will make a very great group. Cuz we are winners. Trust me!!! We really are. If you are down now. Means you have some lessons to learn. You will just fly out of your problems soon as you done with those lessons. Enjoy life and be happy. We winners. Thumbs up for this info. Reading this everyday to stay on my grind. Lol!!! I love 3rd September. And proud of it. I agree. My birthday is on september 3 and we definately are winners. I have achieved alot so far and have way more to go to reach my goal ! I don't really know why I feel shy when girls talk to me ?? I mean , I don't really know what's wrong with me !! Can anyone help me? You are really blessed mate that you don't have to put an effort to keep off the evil...It is a virtue..feel proud about it.